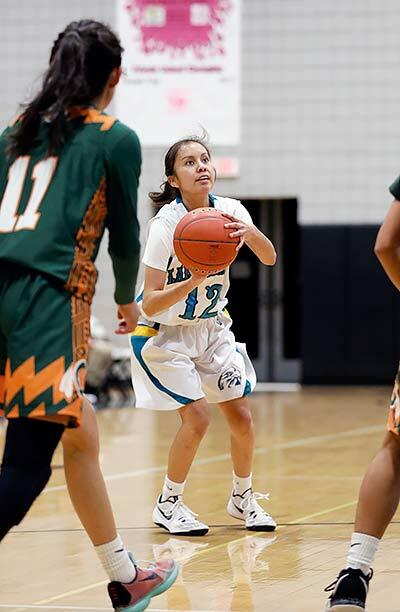 Navajo Prep senior Taina Sandoval (12) sets up for a shot against the Wingate Lady Bears on Tuesday, Jan. 22, in Farmington. 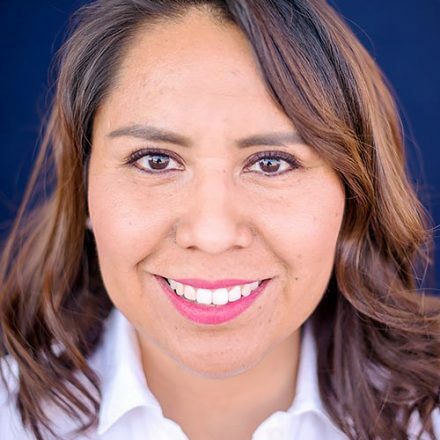 When the Navajo Prep Lady Eagles need a little push, lift or dose of encouragement, they look no further than Taina Sandoval. After four seasons, Sandoval, a senior on the girls’ basketball team, has become the team’s leader and the person they look to when they need a driving force. Navajo Prep head coach Rainy Crisp said Sandoval has earned her stripes as a leader and carries out the job well. Sandoval has worn a Lady Eagle’s jersey since she was a freshman. And in the three seasons since, she has earned the stripes of a veteran who the team hopes will lead them to a state title. She said it has taken her all four seasons to make her the leader the team looks to. Sandoval not only leads the team by example but in less glamorous ways. Crisp said she has developed into a very unselfish player, which was demonstrated early this season.